[S6] G.E. Cokayne; with Vicary Gibbs, H.A. Doubleday, Geoffrey H. White, Duncan Warrand and Lord Howard de Walden, editors, The Complete Peerage of England, Scotland, Ireland, Great Britain and the United Kingdom, Extant, Extinct or Dormant, new ed., 13 volumes in 14 (1910-1959; reprint in 6 volumes, Gloucester, U.K.: Alan Sutton Publishing, 2000), volume I, page 9. Hereinafter cited as The Complete Peerage. [S6] Cokayne, and others, The Complete Peerage, volume VIII, page 503. [S6] G.E. Cokayne; with Vicary Gibbs, H.A. Doubleday, Geoffrey H. White, Duncan Warrand and Lord Howard de Walden, editors, The Complete Peerage of England, Scotland, Ireland, Great Britain and the United Kingdom, Extant, Extinct or Dormant, new ed., 13 volumes in 14 (1910-1959; reprint in 6 volumes, Gloucester, U.K.: Alan Sutton Publishing, 2000), volume I, page 8. Hereinafter cited as The Complete Peerage. [S6] Cokayne, and others, The Complete Peerage, volume I, page 9. [S323] Sir James Balfour Paul, The Scots Peerage: founded on Wood's edition of Sir Robert Douglas's The Peerage of Scotland (Edinburgh, Scotland: David Douglas, 1904), volume I, page 68. Hereinafter cited as The Scots Peerage. 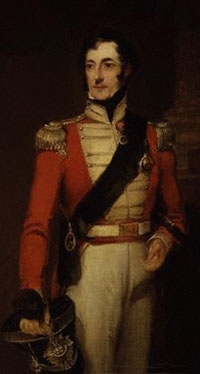 Field Marshal George Charles Bingham, 3rd Earl of Lucan was born on 16 April 1800 at London, EnglandG.1 He was the son of Richard Bingham, 2nd Earl of Lucan and Lady Elizabeth Belasyse.1 He married Lady Anne Brudenell, daughter of Robert Brudenell, 6th Earl of Cardigan and Penelope Anne Cooke, on 29 June 1829.1 He died on 10 November 1888 at age 88 at London, EnglandG. 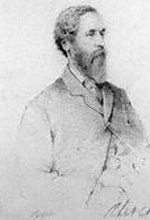 [S18] Matthew H.C.G., editor, Dictionary of National Biography on CD-ROM (Oxford, U.K.: Oxford University Press, 1995), reference "Bingham, George Charles". Hereinafter cited as Dictionary of National Biography. Lady Anne Brudenell was born on 29 June 1809. 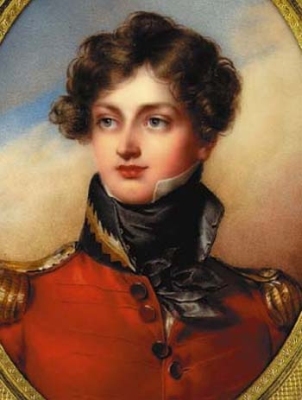 She was the daughter of Robert Brudenell, 6th Earl of Cardigan and Penelope Anne Cooke.1 She married Field Marshal George Charles Bingham, 3rd Earl of Lucan, son of Richard Bingham, 2nd Earl of Lucan and Lady Elizabeth Belasyse, on 29 June 1829.2 She died on 2 April 1877 at age 67. From 29 June 1829, her married name became Bingham. After her marriage, Lady Anne Brudenell was styled as Countess of Lucan on 30 June 1839. From 10 April 1817, her married name became Gordon-Lennox.3 After her marriage, Lady Caroline Paget was styled as Duchess of Richmond on 28 August 1819. [S12] C. Arnold McNaughton, The Book of Kings: A Royal Genealogy, in 3 volumes (London, U.K.: Garnstone Press, 1973), volume 1, page 257. Hereinafter cited as The Book of Kings. [S6] Cokayne, and others, The Complete Peerage, volume I, page 139. [S6] Cokayne, and others, The Complete Peerage, volume X, page 845. William Smith Marr died in 1898.